Time to do some rounding! 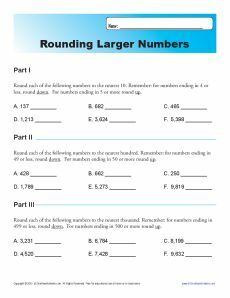 In this worksheet your student will round up to four-digit number, some to the tens, some to the hundreds and some to the thousands. It's compatible with 4th grade Common Core Standards for Number & Operations in Base Ten, although other students may use it as needed.